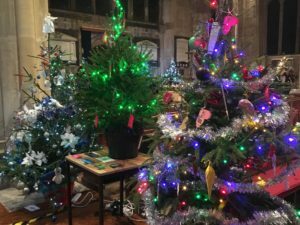 The Christmas Tree Festival opened on Friday 30th November and All Saints’ Church looks beautiful. 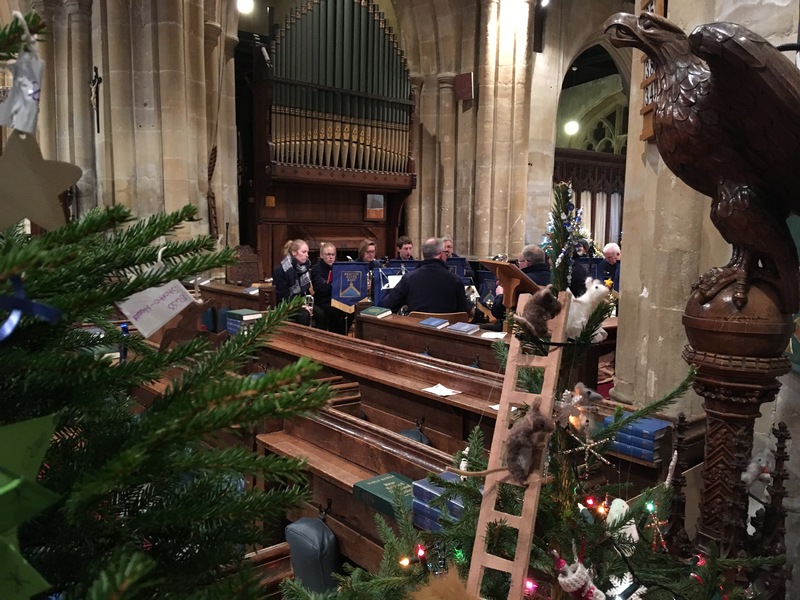 We were pleased to have the Mayor, Cllr Ian Cunningham to open the Festival and the Choir of Matravers School and The Bratton Silver Band provided festive music as our visitors enjoyed mulled wine and mince pies. 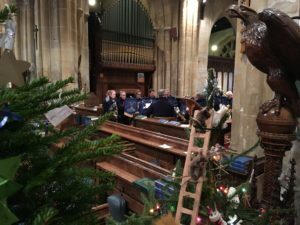 There are nearly 50 trees in the Church each provided by a different community group. 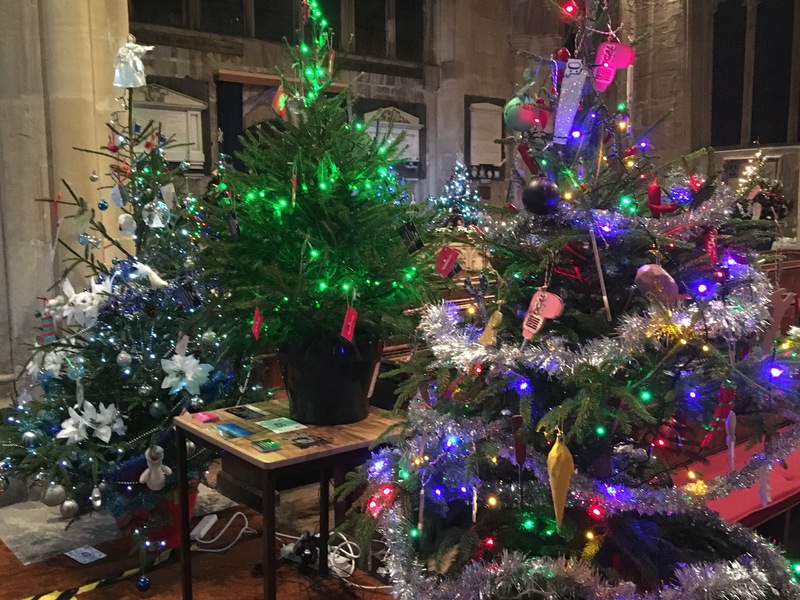 Come along and join the vote for the best tree! The Church is open from 10am – 8.30pm on Saturday and on Sunday from 11am – 4pm. At 4pm our Christingle Service will take place.